This slip and slide provides hours of fun at any summer party. This entertaining slide can be set up with ease at any event. 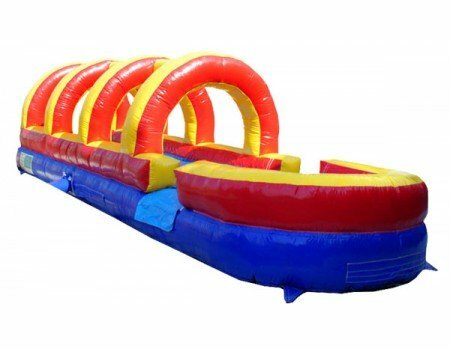 It is sure to keep kids and adults delighted with lots of wet sliding action. The slip and slide is a safe slide for children as it is designed in a manner where they must slide properly although constant adult supervision is required.